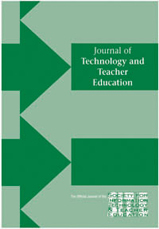 This special issue of the Journal of Technology & Teacher Education puts the spotlight on the topic of creativity – within the scope of technology and teacher education. The importance of creativity in teaching can be traced back to foundational thinkers such as Dewey (1916; 1934) and Vygotsky (1960). In more recent years creativity in education has begun to receive a significant level of attention (Florida, 2002; Pink, 2005; Robinson, 2003; 2011; Sawyer, 2011; Zhao, 2012). As it becomes clear that we must develop creatively thinking students that can problem solve and work across fields, creativity in teaching becomes essential (Cropley, 2003; Sternberg, 2006). Teacher educators, first and foremost, will be faced with helping future teachers develop the skills and knowledge required of them in 21st century classrooms. Henriksen, D. & Mishra, P. (2015). Introduction to the Special Issue: Creativity, Technology & Teacher Education. Journal of Technology and Teacher Education, 23 (3), 273-277. Waynesville, NC USA: Society for Information Technology & Teacher Education. Retrieved April 19, 2019 from https://www.learntechlib.org/primary/p/151575/. Dewey, J. (1934). Art as experience. New york: Putnam. Florida, R. (2002). The rise of the creative class and how it’s transforming work, leisure, community and everyday life. New york: Basic Books. Mishra, P. (2012). Rethinking technology& Creativity in the 21st century: Crayons are the future. TechTrends, 56(5), 13-16.